Bright Future Pharmaceutical Ltd. places more trust in the OYSTAR Group. The largest pharmaceuticals manufacturer in Hong Kong has commissioned OYSTAR A+F for three new carton packing lines. The company is already using a number of machines from OYSTAR IWK.Kirchlengern, May 3, 2013. 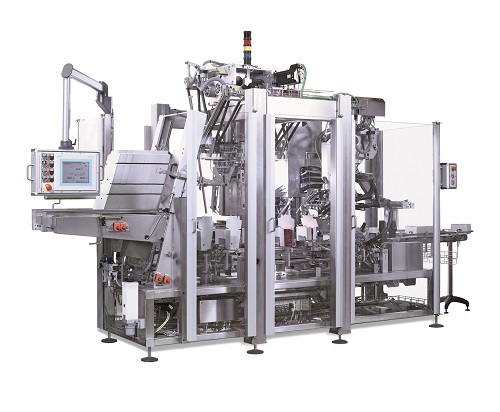 Three new A+F ModuLine carton packing lines will be installed at Bright Future’s Hong Kong facilities to package cough syrup sachets. 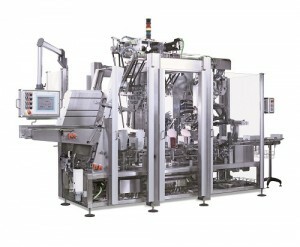 The lines will be connected to four sachet filling systems with an output of 180 packet strips per minute each. The sachet strips are tested for leakage and weight within the clean room. For this purpose, a three-lane weighing system with reject gate has been incorporated into each of the lines. Upon successful testing, the sachet strips leave the clean room on a slide, are stacked into product carriers and then transported to the A+F ModuLine carton packing machine in a fully automated process.Within the carton packing system, the sachets are removed from the product carriers and packed into cartons in sets of five, ten or fifty strips. The cartons themselves are erected from flat blanks, packed, glued and sealed.